Wausau, WI Probate Lawyer - Crooks, Low & Connell, S.C.
Do You Understand Probate Laws in WI? For many families, when a loved one dies, they are forced to deal with the process known as probate. Probate is the legal process for distributing a person’s estate after death. If you are getting ready to go through probate – whether as a personal representative, heir, beneficiary, or other interested party – it is important to have at least a basic understanding of the laws and processes involved. This article provides a very brief overview. For more in-depth information, we encourage you to contact us for a confidential consultation. Personal representative – The personal representative is the individual who is responsible for administering a decedent’s probate estate. Heir – An heir is an individual who is entitled to a share of the decedent’s estate in the absence of a will. Beneficiary – A beneficiary is a person who is named in a will (or other estate planning document) as the intended recipient of a portion of the decedent’s estate. Creditor – A creditor is a party (such as a credit card company) that is entitled to a portion of the decedent’s estate as a result of a debt that existed at the time of death. 2. Two Types of Probate. Wisconsin law allows for both “informal” and “formal” probate. In informal probate, the decedent’s personal representative is able to handle much of the process without direct court oversight (though usually with the help of an attorney). By contrast, formal probate – as its name suggests – is a more intensive process that involves obtaining various judicial approvals. In formal probate, a judge will also rule on any disputes regarding the contents of the decedent’s will. By default, probate proceedings in Wisconsin are subject to formal administration. Learn about the requirements for using informal probate in Wisconsin. 3. The Steps in the Probate Process. Of course, the time and effort involved in completing these steps can vary significantly depending on the size and complexity of the estate, as well as a variety of other relevant factors. 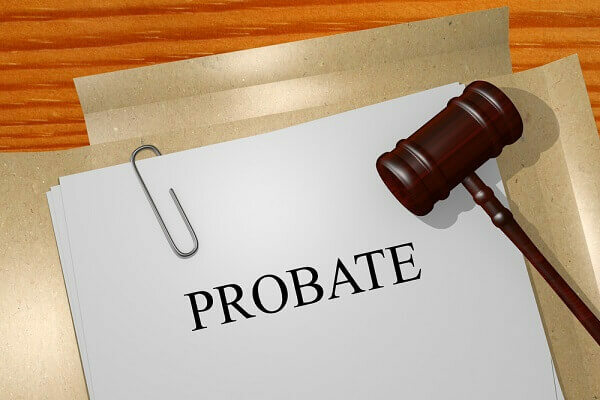 For more information about going through probate in Wisconsin, contact Crooks, Low & Connell, S.C. to schedule an appointment with one of our experienced probate attorneys. To get started, call our Wausau, WI law offices at (715) 842-2291 or submit our online request form today.